Now, I’ve read the compendium of papers by Norm Hirst which Skye Hirst sent a week ago. Norm and Skye Hirst propose that a new metaphysics, value logic, and science (beyond physics) are needed, which are more fitting to the emerging organismic worldview. 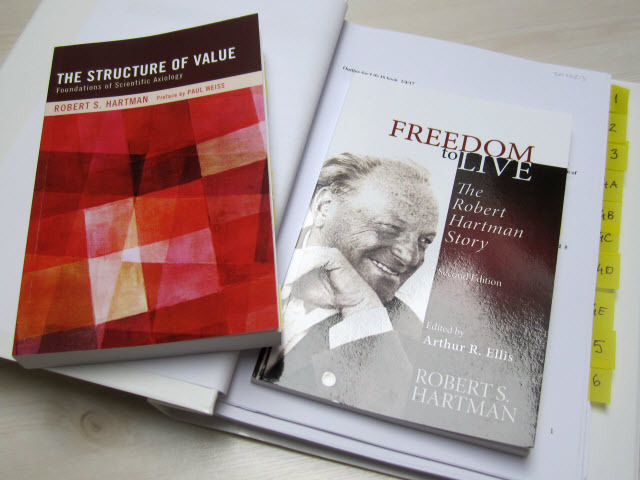 My reading of Norm’s papers also led me to briefly revisit Robert Hartman’s books Freedom to Live and The Structure of Value. Here is my review of Freedom to Live. 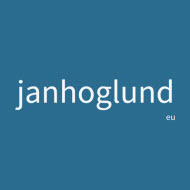 And here is also a new post on value-intelligence as organizing order. I think value-intelligence is an example of a deeper generative order for organizing that is present in anything that’s alive. Books by Robert Hartman and papers by Norm Hirst. 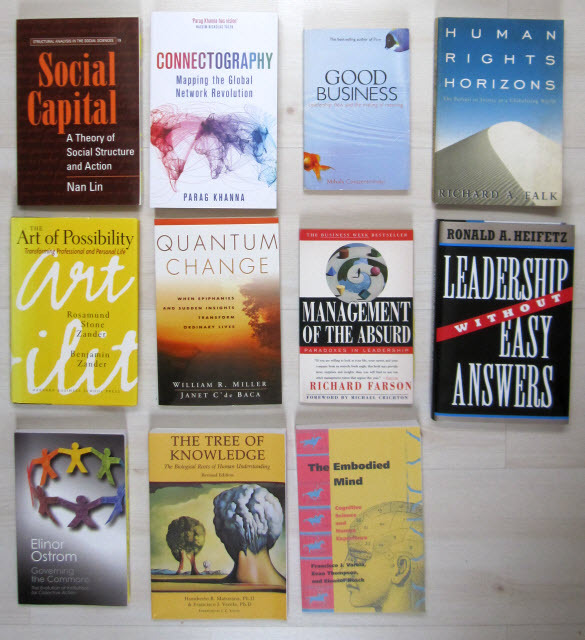 Ronald A. Heifetz book Leadership Without Easy Answers arrived this week (lower right). This means I now have several books available to read. I also need to review The Art of Possibility by Rosamund Stone Zander and Benjamin Zander, and Governing the Commons by Elinor Ostrom (lower left). Books to read and review. I so appreciate the connection with Skye Hirst. Based on Skye’s recommendations, I’ve bought Change Through Signs of Body, Mind, and Language by Floyd Merrell, and Process and Reality by Alfred North Whitehead. I’ve also bought A Key to Whitehead’s Process and Reality by Donald Sherburne, as recommended by Simon Robinson. I need to continue working on my narrative, integrating my thinking into a coherent whole. ‘Process and Reality’ can be a pretty tough read especially as it was not written in a linear manner. I can recommend ‘A Key to Whitehead’s Process and Reality’ by Donald Sherburne who edits the original by chopping it up and presenting it in a different order to which it was written. Also don’t forget to link it back to Tor Hernes’ ‘A Process Theory of Organization’. OK, I just bought A Key to Whitehead’s Process and Reality.